Lead generation is one of the never-ending tasks we focus on with our online businesses. We change our lead magnets, we put our opt-ins in different places on our websites, and we test different traffic sources. No matter where you are in your list-building efforts accepting that this is one of those on-going processes you’ll be testing and tweaking indefinitely will make the journey much more fun. Which is why we’re going to talk about using quizzes for lead generation. 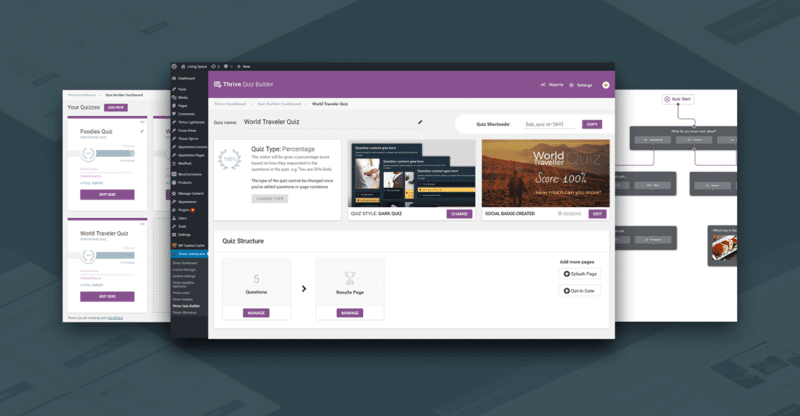 I’ve tested a handful of different WordPress Quiz Builders as well as SaaS quiz builders and I’m happy to say that the Thrive Quiz Builder is ideal for getting the job done. It’s no surprise that I’m a fan of Thrive Themes plugins (I use the Thrive Content Builder and Thrive Leads all the time) and I was really excited to test the quiz builder out. I wasn’t disappointed. I’ve wanted to test a quiz for my own lead generation efforts so instead of just creating and deploying my quiz I thought I would share the creation process with you in a step-by-step guide (remember, everything you do has the potential to be great content). There are a few key things to keep in mind when creating a quiz. You may be familiar with the Buzzfeed style of quizzes (I admit it, it’s a guilty pleasure of mine. I rarely share the results but it’s a fun little distraction for a moment). You want your quizzes to be engaging and entertaining, but they should also be laser targeted. As an example, it wouldn’t make much sense to have a quiz about which ‘Game of Thrones’ character are you if you’re trying to build a list of people who are interested in your design services. You could probably twist this a little bit and have some fun with it, but be careful that you’re not building a list of people who are more interested in the entertainment piece of your quiz as opposed to the primary purpose (people who need your design services). I’ve been testing the quiz builder (and hosted a webinar walking people through how to use this) so I have a couple of quizzes in my dashboard already. Obviously, when you first install it you’ll only have the ‘Add a New Quiz’ option. The first screenshot is the quiz template you’ll have to select (by the way, I walk you through all of this in the videos below. This is simply to demonstrate how the Thrive Quiz Builder dashboard is set up so you can see how it walks you step-by-step through the process of building your quiz) and the second screenshot shows you the dashboard steps. Initially you’ll only see the top 3 steps until you’ve completed them. The Quiz Structure appears after you’ve completed the top 3 sections (although the social sharing image is optional). I wanted to show these images so you could get an idea of how Thrive has built this plugin. I’ve said over and over again how much I love the plugins created by Thrive Themes, this is one of the reasons why. They’ve done an amazing job of making the plugins user-friendly and easy to navigate. Let’s jump into the videos on how to build your own quiz in WordPress. The first video is going to give you a preview to the quiz builder, the dashboard and selecting your quiz type. This second video is going to show you how to set up your splash page for your quiz. In the quiz builder steps, this is step 2 of 4 (this will make more sense in the video). Creating the splash page uses the same builder as the Thrive Content Builder. The third video is going to show you how to add your questions and order them. The fourth video shows you how to create your opt-in gate. The optin gate is simply a page that requires your quiz taker to enter their name and email in order to get their quiz results. The fifth video shows you how to create your results page. You’re going to use the visual editor to create the results page as well (it will pull up the same page template style as the rest of your quiz). This last video is just an example of the category quiz type. I’ve also created a custom landing page for the quiz using the Thrive Content Builder. What theme do you use when you build a website with beaver and thrive? I use Genesis and one of their child themes for my sites. I’ve been using Genesis for years. BB & Thrive work great with Genesis. 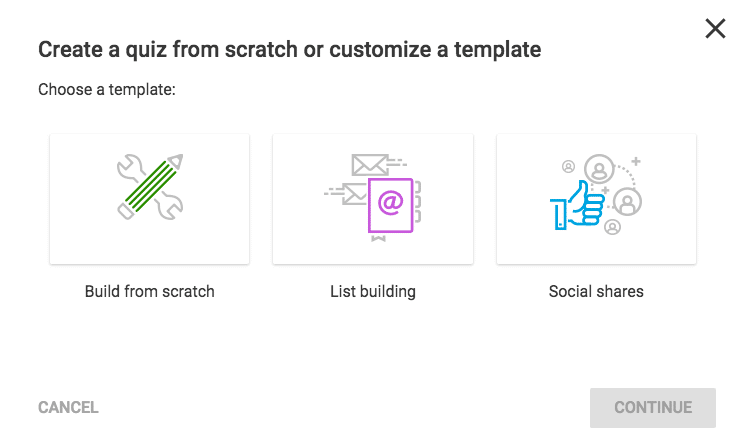 How does the quiz builder integrate with your email program to build your list? Which email programs does it integrate with? Thrive integrates with over 20 email autoresponder providers, all the main ones (and a bunch I’ve never heard of). It’s done through an API connection, so once you’ve installed the quiz builder you go to the Thrive Dashboard and simply select your email provider and it will prompt you for what is required (usually a key of some sort, depending on the provider). It’s super easy. The opt-in connection is then done during the quiz when you get to that step. Holler if you need anything else! you say in the first Video that there is a guide to download. Where can i find it? I’m going to email you the link (and add it into the post). Thanks for letting me know! Hi Kim, this tutorial was very useful for me. Question though, do you have to have Thrive Content Builder in order to use the dynamic content feature? I don’t think you need Thrive Content Builder (now called Thrive Architect), to enable this, but I’ll double check and let you know! I personally love Thrive Quiz Builder over the other quiz plugins but there is this one part it fails for me. The ability to randomize questions and answers. Hopefully the option is hidden somewhere I cannot find. Yea, that would be hugely helpful Jonas. I don’t know off the top of my head if it does that (or is on the roadmap). It would be hugely helpful if it was.